Journalists often interact tersely with readers and viewers on Twitter, but it rarely goes this far. 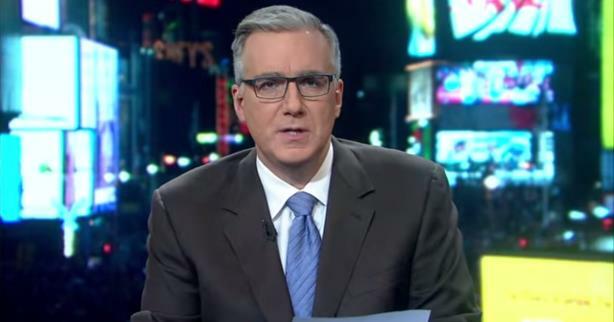 ESPN has suspended host Keith Olbermann for the rest of this week after he belittled Penn State University students and alumni on Twitter on Monday after one pointed out the school’s fundraising efforts for pediatric cancer causes. The network said in a statement that his behavior "was completely inappropriate and does not reflect the views of ESPN." "We have discussed it with Keith, who recognizes he was wrong. ESPN and Keith have agreed that he will not host his show for the remainder of this week and will return on Monday," ESPN said. "The annual tradition of Thon and the efforts of the students of Penn State to fight pediatric cancer should be applauded." Olbermann apologized on Twitter as well. Here’s how it went down: the school holds the Thon dance marathon every year with the goal of raising millions of dollars to combat childhood cancer. This year, students brought in $13 million in donations. Penn State, of course, has also been embroiled in the Jerry Sandusky child abuse scandal that surfaced more than three years ago. The former defensive coordinator for the university’s football team was convicted in 2012 of sexually assaulting boys over a 15-year period. He was sentenced to at least 30 years in jail that fall. After a Twitter user pointed Olbermann, a frequent critic of Penn State, to a link about Thon’s success, the ESPN host responded harshly, to say the least. He continued to shoot back at other critics on social media, as well. @codykon inability? It's a choice. You're Penn State. End of discussion.
.@ColinBenner Good for you. Doesn't change the school's reputation. Check back next century.